Automotive lockouts are very frustrating situations that countless vehicle owners experience every year. Imagine driving back home after a really tiring day, getting off to buy some groceries, and finding yourself locked out of your vehicle. Things get worse if the same situation happens in a desolate location or during a stormy weather. 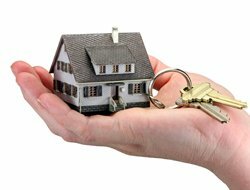 But thankfully, a seemingly difficult lockout situation can be mitigated very easily by availing the services of Orlando City Locksmith, a lightning quick locksmith service that delivers prompt resolutions to stranded customers. When you are in the middle of an automotive lockout, the only wish is to get out of the situation as quickly as possible. Many hapless customers end up choosing the wrong service provider and suffer the consequences of a substandard service. Imagine calling a locksmith that does not have the tools or required expertise to work on your specific model or a firm that takes hours just to locate you. With us, you don’t experience these issues. Our auto locksmiths are always prepared for any type of situation and can track you down accurately with the use of advanced GPS technology. 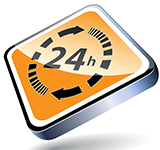 No matter where you are stranded in the region, we will always manage to reach you in the shortest possible time. Getting your issues resolved during the day is not much of an issue as there are plenty of service providers readily available, but what if the same issue takes place during the night? Imagine getting stranded in a strange location at 2 am? A dangerous situation, isn’t it? Not if you call Orlando City Locksmith! Our helplines are never off the hook and you can call us any hour of the day and any day of the year without a second thought. We maintain a vast network of fully-stocked mobile units replete with modern tools. Our mobile workshops are located at strategic areas and enable our locksmiths to offer a range of solutions right on the location itself, be it a complex key making service or new locks installation. 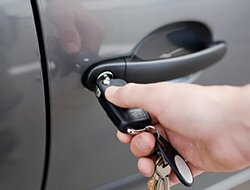 Call any professional locksmith service to resolve a late night automotive lockout and you will be handed a hefty bill with unnecessary additional charges. 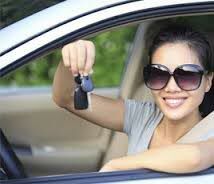 Many locksmith firms take undue advantage of their customers as they have no option but to pay the price. We are sensitive to your situation and do not unsettle you with exorbitant charges. Our services come with a pocket- friendly price tag bereft of any 'emergency fee'. Stranded due to an unfortunate automotive lockout ? Call a friendly locksmith for quick and affordable resolution. Reach out to us on 407-548-2005 !